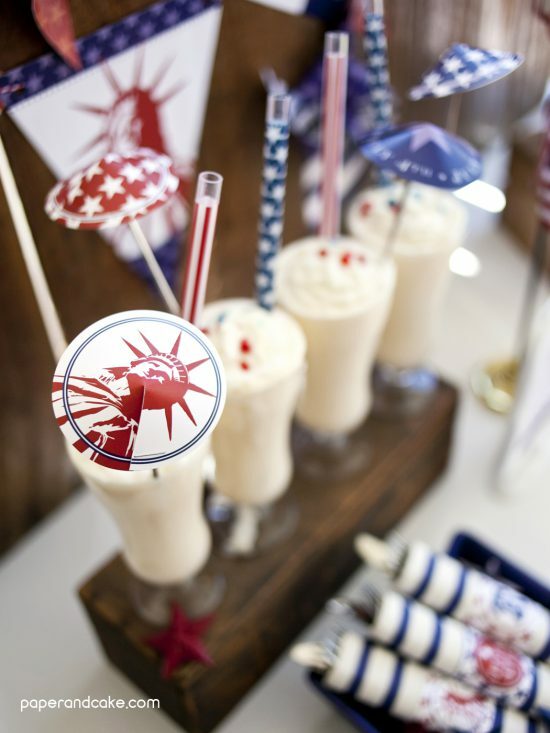 What is red and white and blue all over? 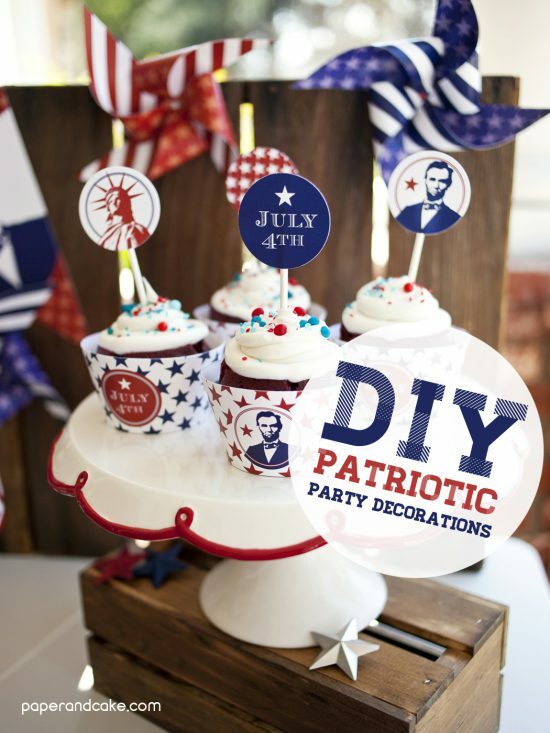 These DIY patriotic party decorations, that’s what! 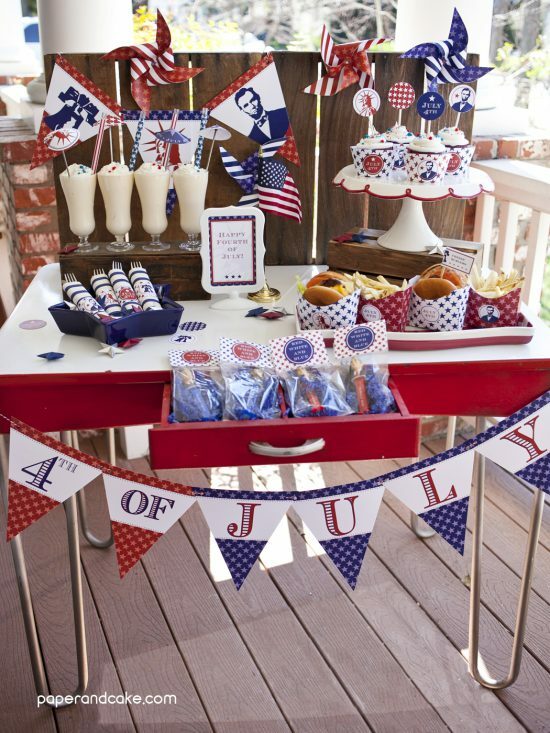 Okay, seriously you guys, when summer rolls around it seems like everything is a shade of stars and stripes – from your halter top to your cake pops! 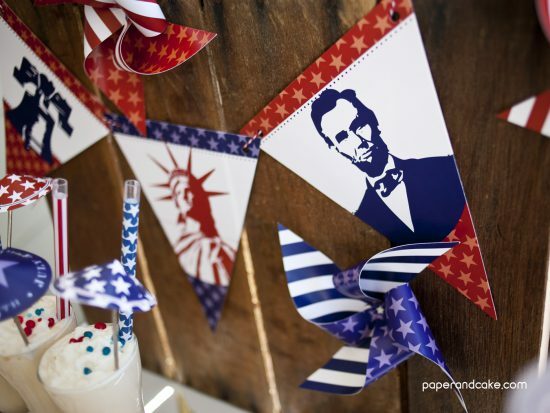 I just can’t begin to describe how easy and fun our DIY patriotic party decorations are! Have you ordered a printable kit before? All you need is a color printer, acrobat reader (free from adobe.com! 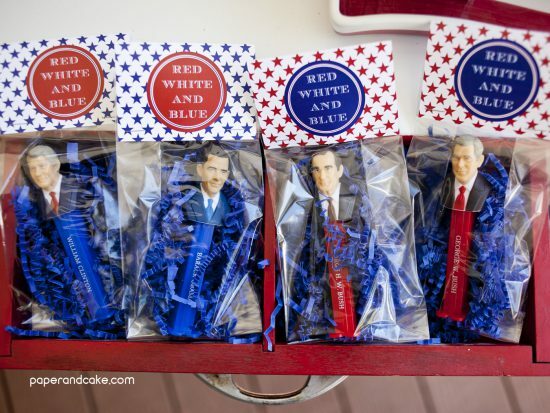 ), some scissors, tape, ribbon and toothpicks. 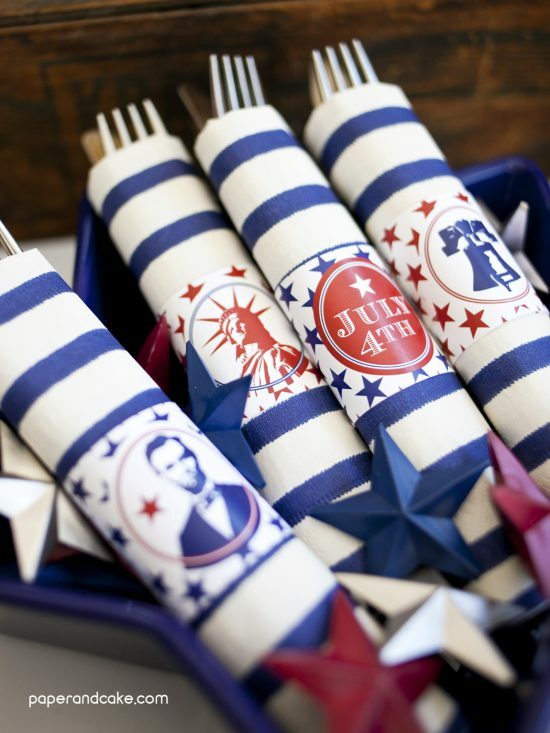 Now, are you ready for some party inspiring eye candy? 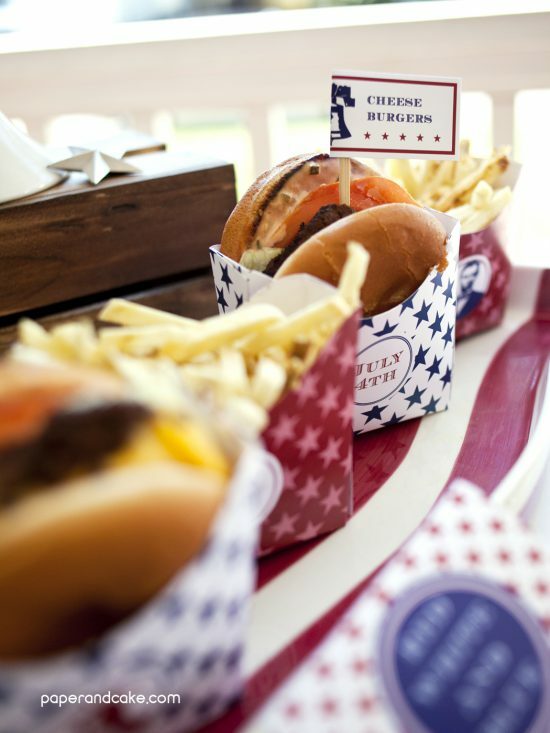 From milkshakes to burgers and fries, we’ll help you create a patriotic table setting that your guests will talk about, forever. 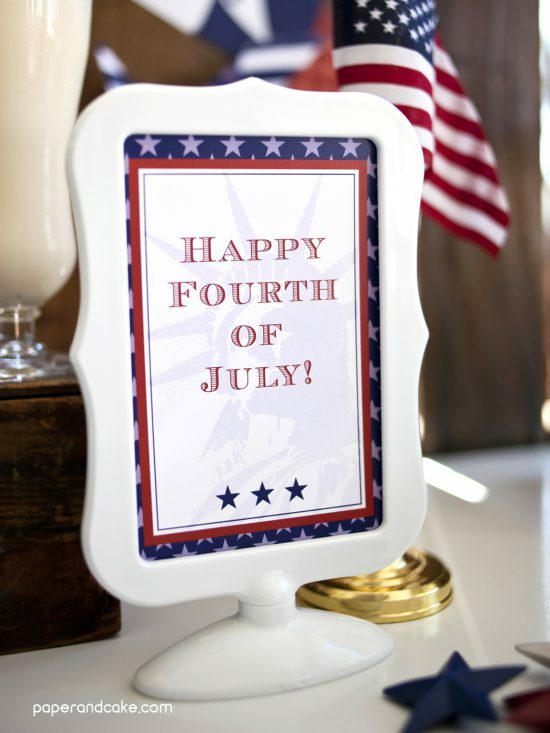 Stop by the shop and pick up your printable kit today!